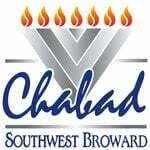 I am pleased to announce the publishing of the new edition of the Chabad of Southwest Broward Yizkor Book. The Yizkor Book serves as a way to visibly commemorate the memory of our departed loved ones, of blessed memory. The new Yizkor book will feature the traditional prayers, contemporary elucidations and thoughts, as well as corrections of typographical errors found in the previous edition. 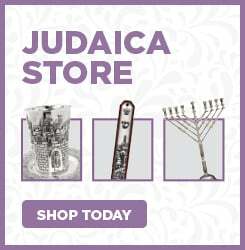 The book is used for the Yizkor service on Yom Kippur and during the Festivals, the holiest days of the year, to help us honor and re-commit ourselves to the legacy of our departed loved ones. The Yizkor book also brings a meaningful opportunity to give charity and continue the Jewish legacy of your loved ones. There are many dedication and inclusion opportunities available. Choose the full page dedication and for only $180 you will be listing the names of your loved ones and up to four optional pictures. The half page dedication is only $108 and includes the names of your loved ones and up to two small pictures. Single name listings are only $36 per name. Your participation in this project enables you and many others to have a truly meaningful Yizkor experience and I respectfully ask that you kindly consider perpetuating the memory of your loved ones in this special way. Please list the following names, as they should appear in the Yizkor Book.